I made these last night to refresh a dinner of left over black beans and rice. 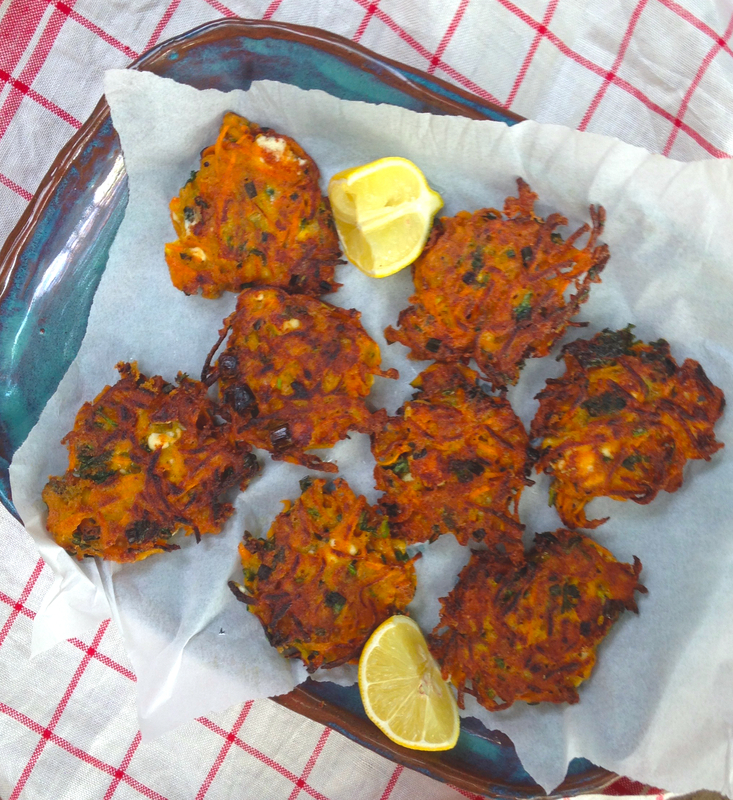 They’re good like that fritters, a rejuvenating element that can turn the simplest of meals into something of a party. You can make fritters out of anything but the old carrot fritter seems to be a bit under- represented, I don’t know why because the humble carrot makes superb fritters. If you have some beetroot or purple carrots on hand you throw some into these as well. 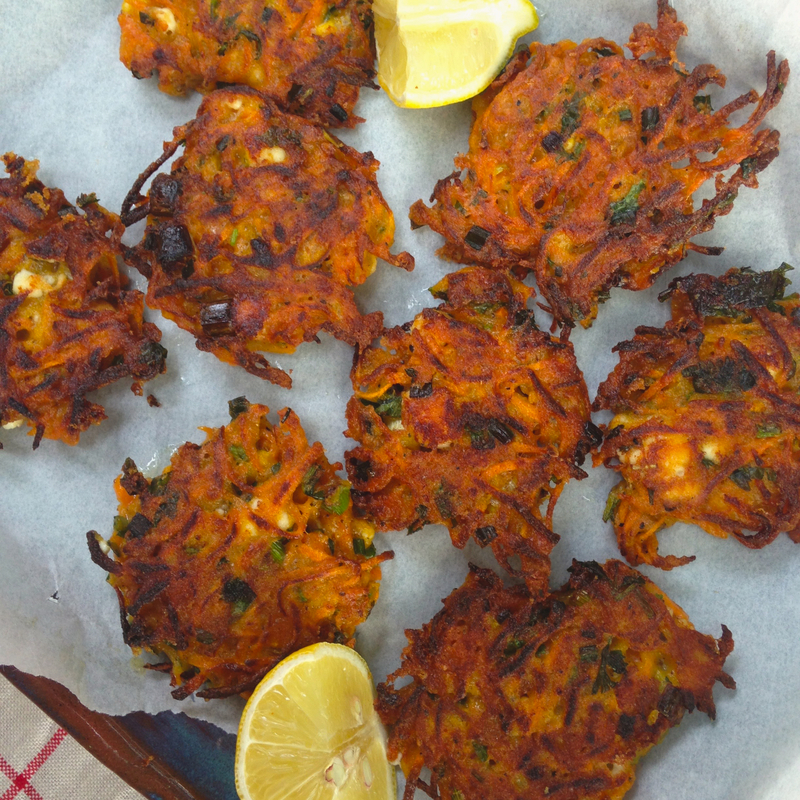 I shredded the carrots in the food processor which gave these fritters a bit more of a tempura like edge, which I like, but if you want a rounder more even look, grate the carrots in a box grater. This batter uses soda water which gives it an extra lightness similar to a beer batter but without the beer flavor. Like all fritters it’s best not to mess around too much with them when you’re frying them. Make sure the oil is hot and you let a golden crust form before you flip them over and try not to eat too many of them before you get to dinner. In a large bowl mix together carrots, coriander, ground coriander and cumin, feta, green onions and flour. Heat about 5 mm of oil in a frying pan. Drop about 2 tablespoons of carrot mixture into oil and flatten out slightly. Fry until golden brown for about 2-3 minutes on each side. Drain on paper and serve hot with a squeeze of lemon juice. These look and sound delish! I’ve never tried using soda water in a batter before, will have to give them a try! Yes I new about beer batter but I’ve just discovered the soda water trick. Sounds like a good idea to use soda water. I’m a convert I’m going to try zucchini fritters with it next. these look so yummy and crisp! Fantastic way to use carrots!